Along with the usual bonus of having natural hair, skin and beauty products that are well, just amazing (! 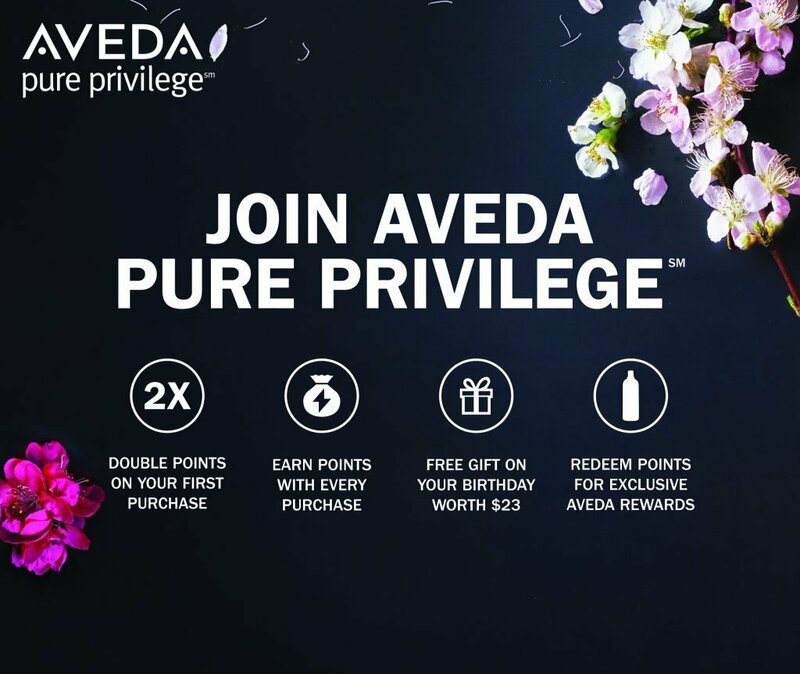 ), the pure privilege scheme let’s you collect points with every purchase in store at Mary Ann Weeks Aveda Guildford and Walton! These points mean prizes – quite literally! Redeem your points for anything from a cheeky Aveda lip glaze or box of comforting tea-bags, right up to exclusive Aveda top to toe experiences. Take a look at the reward tiers and see what you could be yours. So if you love Aveda, this is for you! This month, Aveda are offering an EXTRA 500 BONUS POINTS just for buying any shampoo and conditioner! This offer is valid until 13th February so book yourself an appointment in Guildford or Walton, sign up for pure privilege and get shopping for all your favourites!